If you lost your teeth a decade ago, a dentist would have restored your smile with bridges, removable partials, or dentures. However, significant advances in dental technology have changed the way dentist replace missing teeth. Now Dr. Ruff can restore your smile with dental implants with these very latest dental technologies: CT Scan, Computer Guided Real-time Surgery (X-Nav), and Platelet Rich Fibrin Technique (patient's stem cells). Why Choose Ascot Aesthetic Implants & Dentistry for Dental Implants? A dental implant is a titanium screw that is placed in your jawbone. Acting as a substitute for tooth roots, implants permanently anchor a dental appliance in your mouth. With dental implants, you can talk, eat, and laugh as you did with your natural teeth. More importantly, the implants can last a lifetime if you schedule regular check-ups and maintain good dental hygiene. Dr. Ruff is extensively skilled and knowledgeable about dental implants. She is a graduate of the Maxicourse in Oral Implantology and completed over 300 hours of advanced educational training in dental implants. 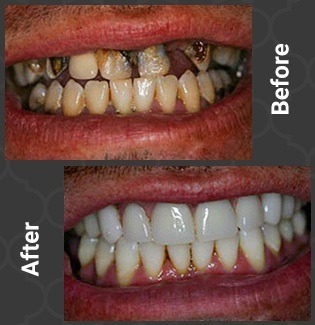 It is possible to replace missing teeth with dental implants. Once they are placed in your jaw, the crowns are cemented permanently to the implants. 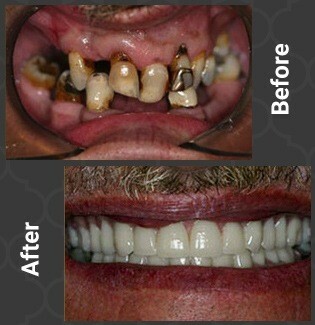 One advantage of implant supported crowns versus bridges is that prepping of adjacent natural teeth is not necessary. 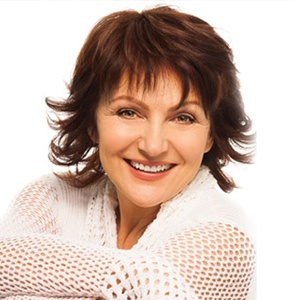 Dental implants are the most technologically advanced method of restoring your original smile. Denture-wearers know that even the best fitting dentures can slip. With implant supported dentures, your denture feels secure and is held firmly in place, enabling you to eat comfortably and laugh and talk with confidence. An implant is a special surgical grade titanium post that’s been manufactured to highly precise specifications under strict sterile conditions; it’s inserted surgically into the jawbone below the gum surface. As the bone bonds to the post, it forms a secure foundation onto which your new teeth are then attached and shaped to match your mouth. The number of teeth being replaced will determine the best kind of restoration for you. Implants can help replace a single tooth or a full set of teeth. If you have been suffering with partial or full dentures, are missing teeth, or feel you need teeth extracted, do not hesitate to call to be evaluated for implants. If you think dental implants are right for you, schedule a consultation with Dr. Ruff. When people lose permanent teeth due to accident, injury, disease or extraction, dental implants can be a secure, functional replacement option. Mini Implant Dentures: No Small Wonder! Imagine visiting your dentist in the morning, having the “mini-implant system” placed in under two hours, and then enjoying lunch with a friend at your favorite restaurant! Plus, during your relaxing lunch, you can eat comfortably, laugh, and talk with confidence, all with your new denture securely and firmly held in place. The IMTEC MDI System are “mini implants” that are about half the diameter of conventional implants. The system was developed to provide denture stability for patients who are not candidates for conventional implant surgery. The miniature titanium implants provide secure anchorage of your denture. The denture rests on the gum tissue and the implant fixtures allow for tiny movements while still withstanding chewing forces. Placement of the MDI System is relatively fast, straight forward and performed at your dentist’s office; it is a one-step procedure that involves minimally invasive surgery with no sutures. Healing time is shorter than conventional implants surgery as well.